Drivers often talk about the team, thanking the many people behind the scenes for their essential efforts. But aside from a select few - Adrian Newey and Ross Brawn spring to mind - there aren't many that get a share of the spotlight. Or seek it. Mark Williams is one such under-the-radar man. 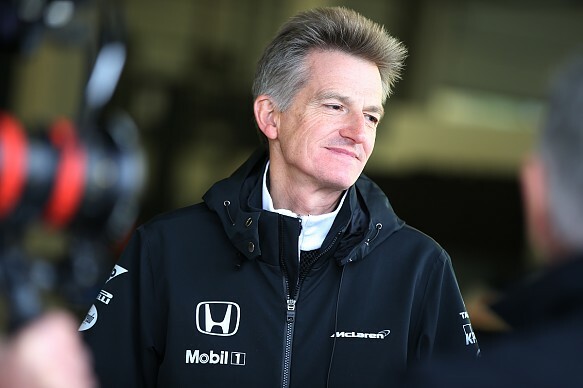 The former head of vehicle engineering at McLaren - not the two-time snooker world champion - and McLaren Autosport BRDC Award judge has had a long and successful career that has included stints in Formula 1, Indycars and touring cars. He's been an engineer and a designer, and has seen motorsport change immeasurably over the past three decades, during which time he has worked with drivers such as Jenson Button, Fernando Alonso, Lewis Hamilton, Mika Hakkinen and David Coulthard. Williams was always likely to go down the behind-the-scenes route. From the very start, his interest was in the machinery rather than getting behind the wheel. "My father built himself a Jaguar XK120 in his youth and we always had a series of interesting cars at home," recalls Williams. "I was always quite creative - I made stuff. So having an engineering father and a creative nature I got into making things." Williams started with radio-controlled model cars - "Dad would get it made for me provided I drew it. No sketches, proper drawings" - and he bought a lathe so he could make things himself. He also discovered motorsport. "There was never the drive to go racing. I was never going to be a driver, it was the engineering that fascinated me." 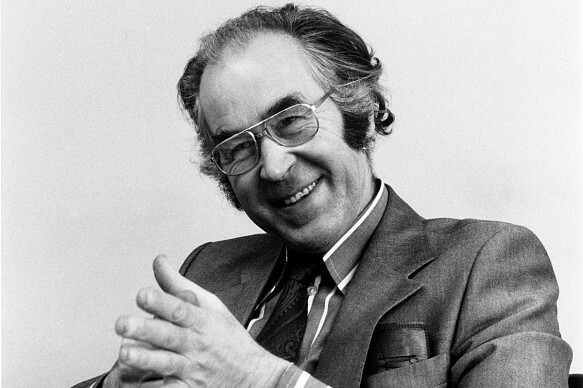 Williams built his own car and studied engineering at Imperial College. 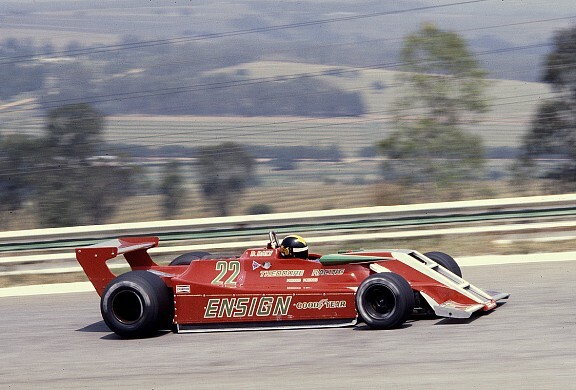 Prior to his final year, he got a summer job with Mo Nunn's Team Ensign in 1979. "He built complete F1 cars," says Williams. "Mo was a great guy. He said he'd put me in all the departments so I could spend a little bit of time in each one. The first port of call was the fabrication department and I spent my entire summer vacation in there because we were making so many bits. It was great fun." "It was hard to swallow, but he was absolutely spot on. 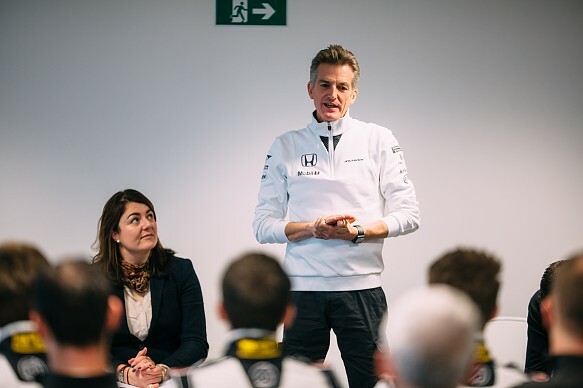 It was great advice, but it's hard to take when you're this close to working for an F1 team." The result was three years at Ricardo Consulting Engineers. "I stopped all interest in motorsport," admits Williams, but that didn't last long, and the processes he learned would prove useful. A colleague at Ricardo encouraged Williams to start chasing his motorsport dream again and he started applying to firms. 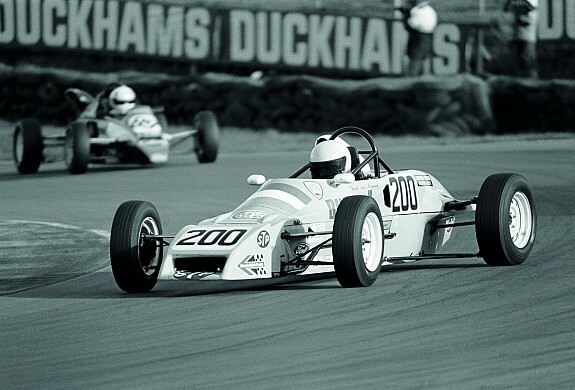 One was Formula Ford 2000 constructor Delta Cars, based in Hove and run by Nick Crossley. Delta was having gearbox-casing problems due to the forces through the suspension, and Williams redesigned the rear of the cars for free in his spare time. "It worked and Nick was happy, so I became an unofficial, unpaid member of the organisation," he says. "I didn't care - I loved it. I'd go to tests and to the factory on a Saturday with lunch in the local pub listening to racing stories. "I did that for a while and found it was far more interesting and rewarding than the day job, so I decided I had to do it full-time. Clearly Delta couldn't employ me, so I just applied to every F1 team. Bless them, a lot of them said I could come and have a chat. I got a lot of great advice. Then I opened up Autosport one day and saw that Lola were advertising for a junior designer." Williams rang, was told the position had been filled but was invited for a chat. 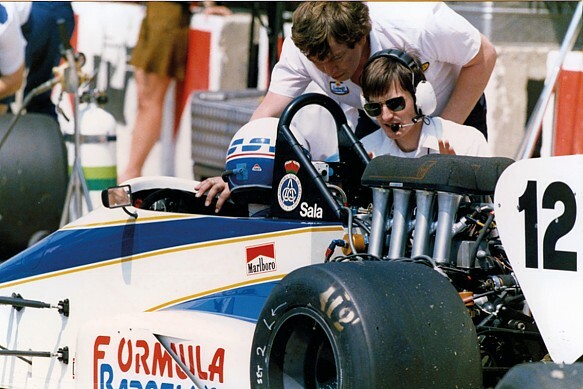 "Before I knew it, they'd offered me a job," says Williams, who took over Lola's Formula Ford programme in 1984. He was immediately struck by the lack of process, but also by founder Eric Broadley's abilities. "There were no reports, no test reports, no windtunnel reports - it was all in Eric's head!" remembers Williams. "There was only one thing that Eric kept - a cardboard box with rolls of geometry drawings. Each piece of plastic drawing film was probably about a foot high and two metres long. He'd come in the office, unroll it, make a change, then roll it up and take it back to his office. Every geometry of every car he'd ever done was on those rolls." Williams stayed at Lola for 10 years and was quite quickly put on to other projects, including sportscars, Formula 3 and Indycars. That meant he also got to see the mercurial Broadley at work. "Eric was a fantastic draughtsman," he says. "In 1984 I was put on the Indycar programme with Nigel Bennett. We had too much to do between the two of us and Eric said he'd design the bellhousing. "One Saturday, I came in and Eric was there with a turbocharger balanced on a coffee mug in front of an engine on the bench, and a ruler. He was measuring and doing a drawing, no scheme. It was an amazing drawing but I thought, 'How do you know it's going to work?' - your measurements only have to be off by a little bit. The drawing went off to Italy to be cast and machined. It came back and everything fitted perfectly. He was very good - he knew all the shortcuts, what he could get away with and what he couldn't." Williams also learned about aerodynamics as they became more important during the 1980s: "That was the great thing about Lola. I arrived to do Formula Ford, within weeks I was in the windtunnel doing a sportscar, and the next year I was doing Indycar with Nigel. "I went to Lola to be a designer, but you always picked up windtunnel programmes, track testing, race engineering. You covered everything. How do you get that experience now? Those first few years were incredible, a great grounding." Formula 3000 replaced Formula 2 for 1985 and Lola produced its car - the T950 - in three months. Unsurprisingly, it was not competitive. "It never saw the windtunnel, we just built it," says Williams. "It was a real baptism of fire up against Ralph Bellamy doing the March and Ron Tauranac with the Ralt, when you've lashed something together in three months." Bellamy helped March man Christian Danner to the 1985 title and then came to Lola. He proved the T950 wasn't as bad as the results suggested, after identifying that the wheelbearings were the main issue. He put on a derivative of March's ones and "we went from the back row to third row or something. Everyone asked what aero work we'd done, but we just had the wheels pointing in the right direction!" Williams took over the programme in 1988, with Erik Comas taking his DAMS-run T90/50 to the crown in 1990. "F3000 was good because you worked with so many different drivers, so many different styles," reckons Williams. "It was good fun because it was flat-out engineering. You could change things race to race and we were all at a similar level. It did get a little bit tricky if someone came in with F1 knowledge - that's never great because if you don't have the knowledge, it skews the playing field. "You also had customers with varying abilities. It's no good just producing cars for Erik Comas, you have to think about the other guys and understand driveability. I didn't really understand what that was - I would just look for maximum downforce however I could get it and that's wrong. "Now you look at other things, how the car performs in yaw and steer. It's key. It's got a lot harder but more interesting for an engineer. The challenge is how do you have the general public appreciate that - otherwise you have a load of engineers having a ball and nobody's watching." 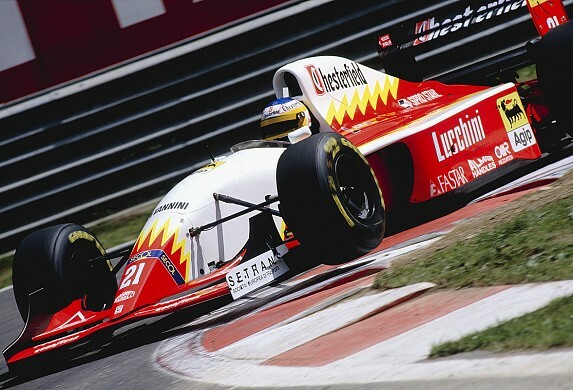 Williams also got involved in the shortlived BMS Scuderia Italia F1 deal in 1993 with the Ferrari-engined T93/30. "That was another car in three months," says Williams of a design that scored no points. "We were on the road to recovery, but we never got there because the project was stopped at the end of the year. It was a shame because it was a good team." Williams left Lola in 1994 to go freelance race engineering in the US, and ended up running Scott Goodyear for Kenny Bernstein's King Racing CART squad. He also engineered Andrea Montermini on his two outings. Although it was a tough season, Goodyear did win the Michigan 500 and Williams has fond memories of the CART era: "You could do whatever development you wanted. It was a great series, lots of freedom, I really enjoyed my time there." Bernstein sold his team to Jerry Forsythe for 1995 and things did not go well for Williams. He was fired before the Indianapolis 500: "I hadn't got on terribly well with [engineer] Robin Herd. I used to resent the fact that he'd rock up at the last minute and try to run the car; I failed to appreciate the fact that he and Teo Fabi went back a long way and had a great relationship." Indycar constructor Reynard had shown an interest, but Williams returned to the UK and got a call from Graham Humphrys at RML, and he ended up running Anthony Reid's Opel Vectra in the 1995 FIA Touring Car World Cup. It gave Williams an insight - and foot in the door - into tin-top competition. "I couldn't believe how much scrap was created in one race!" he recalls. "There were skips out the back with body panels and people were jumping on them to make room for more." More importantly the outing led to a call from McLaren, and Williams was asked to run the Woking squad's BMW Super Touring development programme. "I was a bit wary because in 1991 I'd met Martin Whitmarsh and Ron Dennis and I'd turned them down," says Williams, who had passed up the chance to be Ayrton Senna's race engineer. "I've done some crazy things in my time..."
Led by Williams, the McLaren squad worked alongside fabled BMW factory team Schnitzer, with Peter Kox doing much of the testing of the 1996 E36 320i, with a view to McLaren producing and homologating the '97 car. They soon made an impression at a Vallelunga test. "We weren't quick," remembers Williams, "but we were giving Schnitzer all our data and at lunchtime they came down and said, 'You're not quick because your engine is a lemon, but in the infield section you are eating us. What's your set-up?'" They put the much softer set-up on the full-house Schnitzer cars and went quicker. "We had a fantastic working relationship and a great year. It was amazing fun." 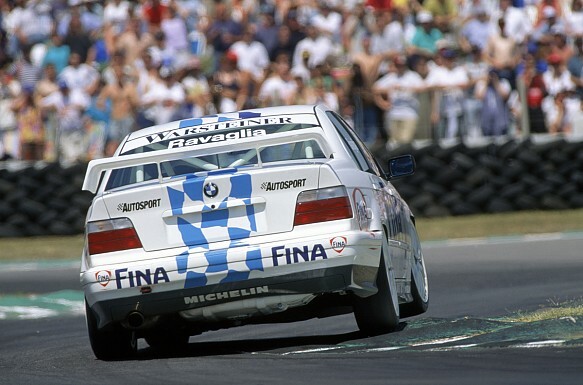 Audi's four-wheel-drive A4 took the BTCC by storm in 1996, but BMW still scored five wins and was second in the manufacturers' standings with Joachim Winkelhock and Roberto Ravaglia. Williams then helped design the 1997 Super Tourer, only for the now Bigazzi-led operation to be moved from the BTCC to Germany, for which the aero package was unsuited. That made for a trying, though not unsuccessful, season. By the time that project found real success in Germany in 1998, Williams had moved to McLaren's F1 test programme. He ran Olivier Panis and Alexander Wurz before getting a break with the race team. "I got lucky. Mark Slade was Mika Hakkinen's race engineer and his wife was having a baby in 2001, so they needed a stand-in for Indianapolis." After taking two world titles in 1998 and '99 and finishing second to Michael Schumacher in 2000, Hakkinen's season had - British Grand Prix aside - been largely lacklustre. 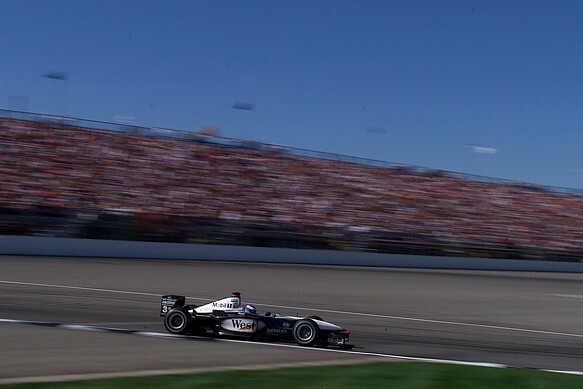 But at the United States GP he put in his last great drive before retiring from F1. Hakkinen qualified second to Schumacher's Ferrari, but a warm-up transgression on Sunday morning - missing a red light at the end of the pitlane - resulted in his best qualifying time being deleted. He therefore started fourth. 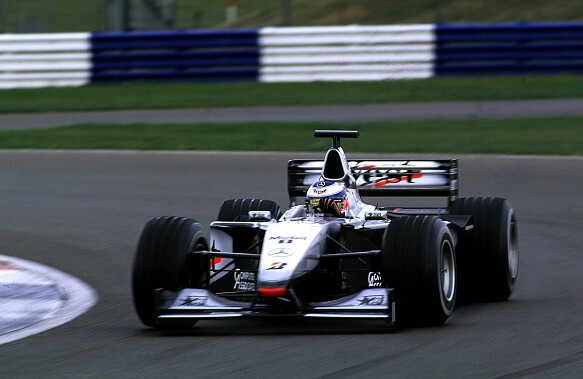 Hakkinen ran fifth in the early stages, but put in a very long first stint and climbed to the front as others stopped. Running his Bridgestones longer than recommended, Hakkinen pumped in some blistering laps before his one stop. "We were down to the fabric and we hardly had any rubber left, but we were still doing the lap times," remembers Williams. "I don't know how Mika did it. Fortunately we got away with it." 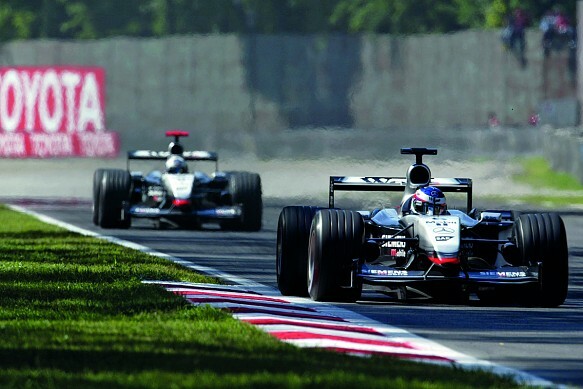 Once everyone had made their second stops, Hakkinen was at the front. Rubens Barrichello was set to challenge before his Ferrari suffered an engine problem in the closing stages, leaving Hakkinen to take his 20th and final F1 victory by 11 seconds. The result did not hurt Williams' career. When Newey elected not to leave McLaren for Jaguar in 2002, Whitmarsh decided to restructure and support the aero ace with a group of chief engineers. Williams was one, taking care of chassis and suspension: "Adrian focused on aero and we did everything else. "Adrian had very firm ideas of what he wanted. He would draw everything. He had a good feel of how everything would integrate. He always did what he knew would work, no compromises. I enjoyed working with him for that very reason." The MP4-17 of 2002 was middling, David Coulthard winning just once as McLaren finished behind Ferrari and Williams-BMW in the constructors' standings. That resulted in a bold attempt for '03 in the shape of the now infamous MP4-18. "Adrian always felt the 17 was too heavy and didn't allow enough development flexibility," explains Williams. "So he was determined the 18 would be a lightweight car. "Mike Coughlan had joined us and he said he'd do a light car. And everything just got smaller. I don't know why we weren't focusing on it because there were enough of us to look at it. "I think we were too busy trying to win the championship with the 17 and the 18 was just too flexible in every department - aero flex, mechanical flex. I don't think at one point it could leave the pitlane without catching fire because everything was too close. It was a step too far." The MP4-18 was therefore never raced, leaving the team to battle on with the upgraded MP4-17D. Nevertheless, Kimi Raikkonen only lost the drivers' title to Schumacher by two points after a campaign built on consistency. "If the development of the engine hadn't been switched off I think we may have actually done the business with it," reckons Williams. "It would have been remarkable to have taken a year-old car to a championship win." Thereafter, Williams continued to become an ever-more essential part of the McLaren machine. He worked with Steve Hallam as head of vehicle performance, overseeing both cars at GPs from 2007. When Hallam left in '08, Williams picked up race engineering and strategy as well. There aren't many sides of the sport he hasn't seen. Lewis Hamilton won the 2008 drivers' crown and McLaren narrowly missed out on the constructor's championship, but the next few seasons had highs and lows. In '10 Williams got involved in the GT3 project with McLaren's MP4-12C, splitting his time between that and F1. Then, in November 2014, he was one of the victims of the 'new broom' that swept through the Woking team. But he's not bitter and, after some time off, has found more engineering challenges to keep himself busy. And he's still involved with McLaren's successful GT programme, as well as being a judge on the McLaren Autosport BRDC Award. "I love working with drivers, setting cars up and trying to get the most out of them," he says. "I started out as a creative guy and that was almost a handicap because I wanted to design the best-looking upright, for example, but there's no lap time in that. Just design it well once and carry it on. "Now I'm only interested in what's going to make the car go quick." Can Bottas convince Mercedes to keep him? Kevin Turner is the editor of Motorsport News, having previously spent several years as national editor and features editor of AUTOSPORT. He joined the magazine in 2006 after writing club race reports as a freelancer while studying history at the University of York. He has also covered international events for both the magazine and the website, including the Le Mans 24 Hours. Kevin has covered the British Touring Car Championship since 2011 and has a keen interest in the historic racing scene. He lives in Fleet with his wife and daughter.